Sometimes it's actually someone else fault. No reason to blame yourself all the time. How do you stop speedboosted Road with flag? 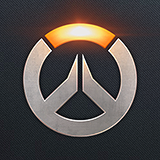 02/20/2018 10:06 AMPosted by ZeroGravitas02/20/2018 10:04 AMPosted by HanzoMaker...When PTR changes goes live - event would be ended month agoEvent goes another two weeks, and I'm sure CTF will be the featured arcade mode for a while after that.what the point without competitive. Favorite anime music? Or song in general?